For the fortieth anniversary of Hong Kong’s Independent Commission Against Corruption (ICAC) David Lam and his all-star cast celebrated like it was 2008. Like Efrem Zimbalist, Jr. in The F.B.I., Louis Koo’s William Luk will righteously crusade against crooked cops and shadowy financial conspiracies, but he will have the fringe benefit of investigating Dada Chan in Lam’s Z Storm (trailer here), which releases today on DVD and BluRay from Well Go USA. 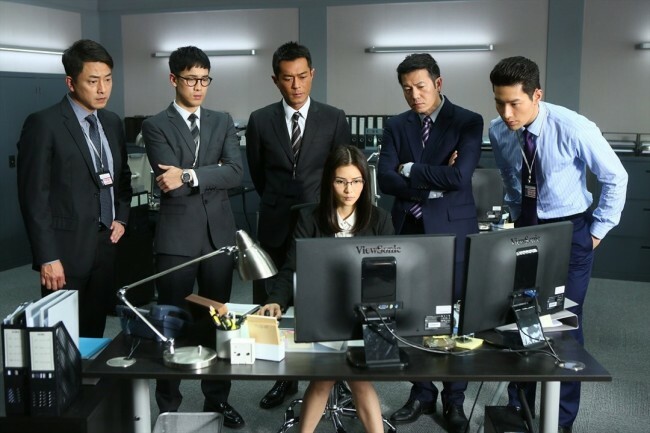 Wong Man Bin is such a corrupt cop, he is even dirtier than some of white collar crooks he covers for, like the rather compromised accounting firm proprietor, who is quite surprised when Wong makes incriminating evidence disappear. Evidently, his paymaster, the extravagantly venal attorney Malcom Wu needs his house’s help to take the Madoff-esque Z Fund public. However, Wong’s recklessness also attracts the attention of Luk, who starts connecting the dots. Since the former government chairman is the Z Fund’s public front-man, investigating Wu’s operation is a touchy proposition. To make matters worse, a major public-private charitable account will go all in with the Z Fund, once it is successfully listed. As a result, Luk is given a hard six day deadline to take down the Fund before it lists. Past that point, he must close his investigation rather than risk sparking a crisis of confidence that might jeopardize the charity funds. Unfortunately, each of his leads meets a tragic end, accept perhaps the mystery woman associated with Wu, Angel Leung On Ying. As Luk, Koo seethes like the old pro he is, but it is the bad guys that really make Z Storm work. Michael Wong does his gloriously hammy thing, except even more so, as the spectacularly villainous Wu. However, Gordon Lam Ka Tung nearly matches the scenery Wong masticates, stick for stick, as the profoundly underhanded Wong Man Bin. It is almost like they are facing off in some sort of evil-doers’ Olympics. Strangely, Dada Chan hardly has any time to establish Leung’s character, since about ninety-five percent of her screen time comes in the third act. However, the camera still adores her. It is also favorably inclined towards Janelle Sing, who inspires confidence as Tammy Tam, the ICAC’s brainy IT specialist. There are a several nicely executed action sequences, but the many scenes of the ICAC arriving just seconds too late get a little frustrating. Still, the star power and the refreshingly complicated intrigue keep the film chugging along. Some occasional weird references also give the film idiosyncratic character. I’ll bet you didn’t know Zorro was a Spanish knight, whose weapon of choice was a sword. At least, that is what Z Storm thinks (evidently the Disney, George Hamilton, and Antonio Banderas incarnations never made it to HK). No matter, Chan and Koo are ridiculously attractive, while Lam and Wong are outrageously dastardly. 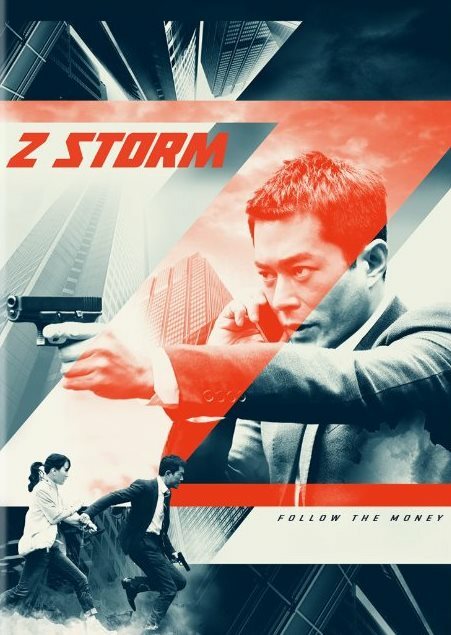 Recommended for those who enjoy financial thrillers with a dash of flamboyance, Z Storm is now available on DVD, BluRay, and Digital HD, from Well Go USA.